Your device is running the operating system Google Android 5.0 (Lollipop, API 21) or higher. 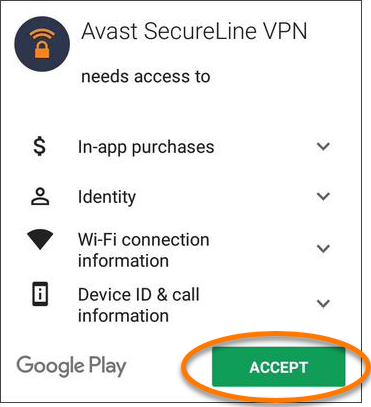 If you have already activated and used Avast SecureLine VPN for Android before, ensure that the mobile device on which you are currently installing the app is connected to the email address that you used during the Avast SecureLine VPN purchase. 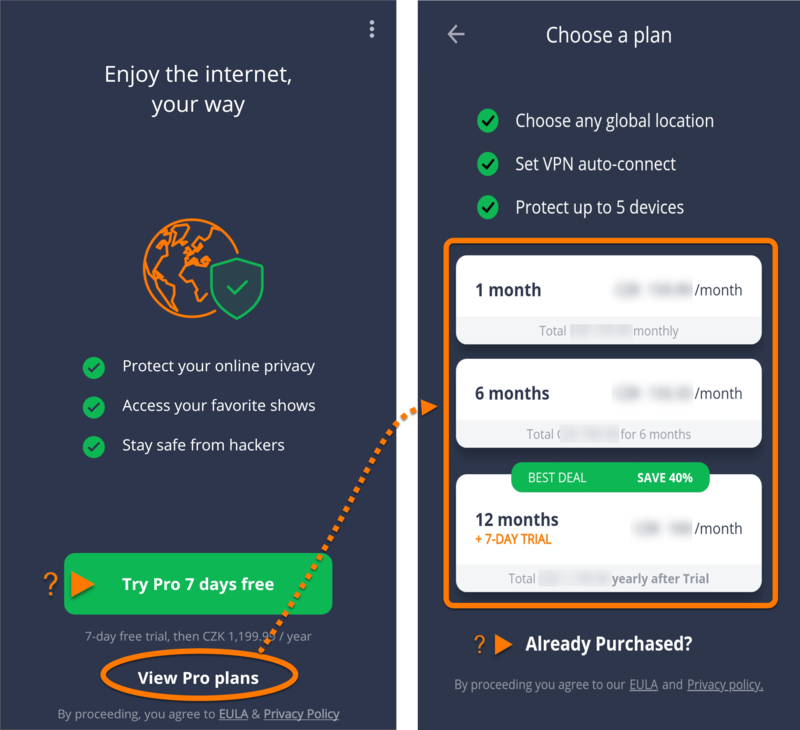 Otherwise, Avast SecureLine VPN may have issues restoring your license. To verify which email address your device is connected to, go to Settings ▸ Accounts ▸ Google. Tap the Google Play Store icon on the main screen of your device to open the store. 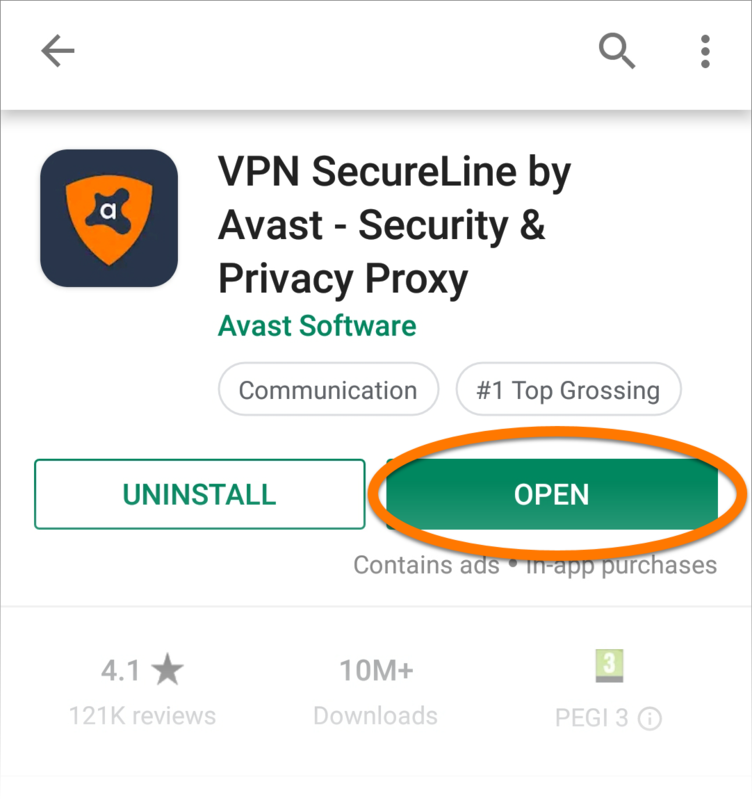 Search for Avast SecureLine VPN and tap the Install button. If prompted by the permissions dialog, tap Accept.